What is dyslexia? And what about dyspraxia, dyscalculia, dysgraphia, and are there others? These are all names given to specific cognitive processing differences. These are sometimes covered under the umbrella term neurodiversity which also encompasses Attention Deficit Hyperactivity Disorder (ADHD), autistic Spectrum and Tourette syndrome. None of these differences makes a person lazy or stupid but they may make some takes harder to perform. They share several attributes and some people may have a mixture of these traits. They are all hidden disabilities meaning it will not be easily apparent that someone is affected by these different thinking styles. These neurological differences can’t be cured (nor would we want them to be) they are here for life. Throughout this site are tips for overcoming some of the challenges and exploiting some of the inherent gifts that thinking differently brings. Dyslexia is the name given to a specific collection characteristics that present as a processing difference. 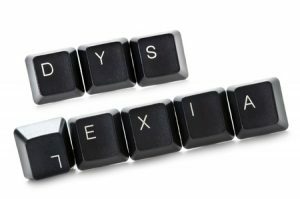 The dyslexic brain functions differently from the “neurotypical” brain. There is some science to suggest that the wiring of the brains euros is different. The dyslexic brain is infamous for being bad at reading and spelling. Dyslexics may also struggle with organisation, sequencing, concentration, time management, memory and understanding spoken instructions. On the flip side, dyslexics may excel in areas requiring creativity, innovation, problem-solving and lateral thinking. They can be a great asset to an organisation if given the right environment. For more detailed guidance head over to The British Dyslexia Association. The name dyspraxia originates from the greek words ‘dys’ and ‘praxis’ meaning impaired acting. Outside the UK this is more commonly known as DCD: Developmental Coordination Disorder. Dyspraxia affects fine and gross motor control so dyspraxics are often considered clumsy. These problems with motor control can impact the ability to perform everyday tasks such as writing, typing, or driving. Fine motor control of the eyes may make reading difficult. Dyspraxia individuals may also have heightened sensitivity to sound, light or the feel of things. To balance this, dyspraxic individuals tend to have strong empathy, are tenacious, and share many of the positives of dyslexia. More info can be found at The Dyspraxia Foundation. Dyscalculia is a condition that affects the ability to acquire arithmetical skills. Learners with dyscalculia may have difficulty understanding simple number concepts, lack an intuitive grasp of numbers, and have problems learning number facts and procedures. Even if they produce a correct answer or use a correct method, they may do so mechanically and without confidence. About Dyscalculia has more informaiton. Dysgraphia is a deficiency in the ability to write. It is different from dyspraxia as it does not affect all fine motor skills. It might present in illegible handwriting, unfinished words, slow writing and difficulty organising thoughts on paper. Many people with dysgraphia can write legibly but doing so requires immense concentration and so they fatigue easily. You can find out more here.